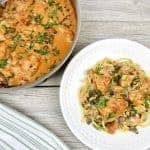 Beef Stroganoff given a Keto-style makeover! 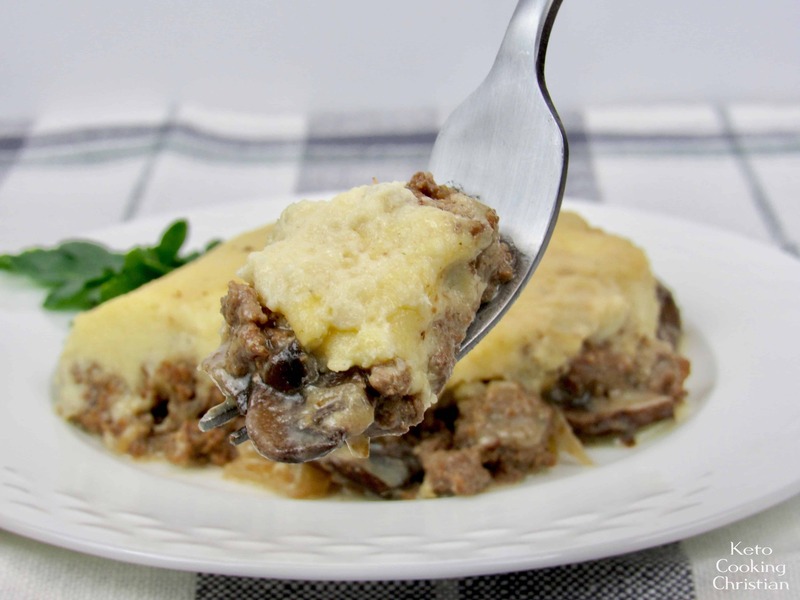 I turn this old classic into a casserole, with the same great flavor and topped with cheesy mashed cauliflower! 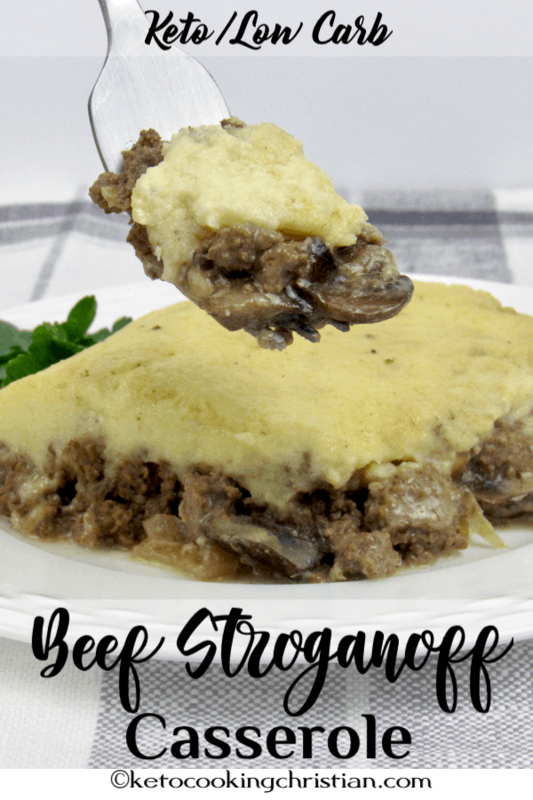 I decided to use ground beef in this stroganoff, instead of sliced beef because it makes it much easier to serve. 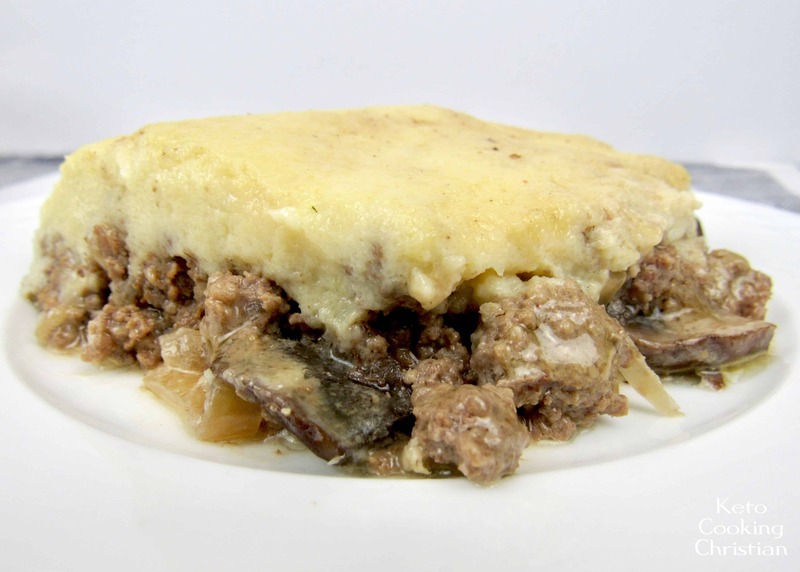 I made this “Shepherd’s Pie” style, with the addition of my Cheesy Mashed Cauliflower over the top. 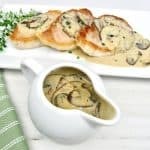 They are nice and thick, not at all watery and actually goes so well with the flavor of the stroganoff! 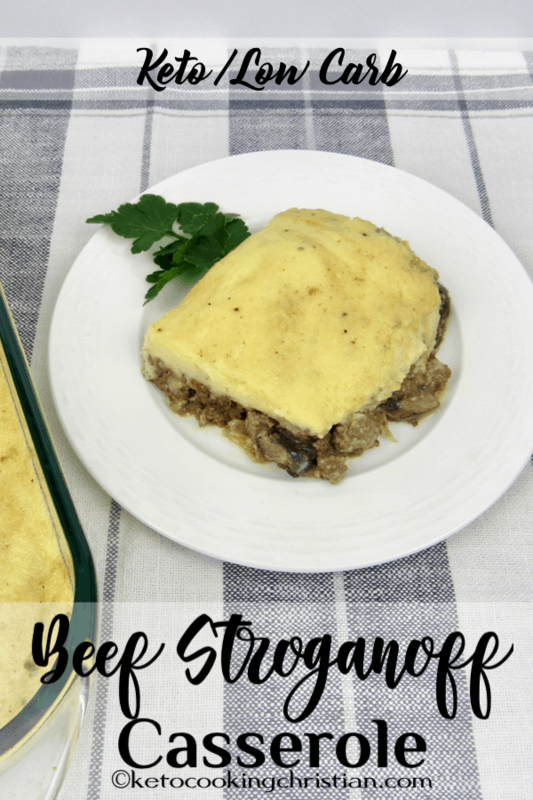 This is a low carb casserole that is super easy to make too! As I browned the ground beef, I cooked the cauliflower. I always make mine in the microwave and squeeze out any water, which is key to making these very mashed potato-like. 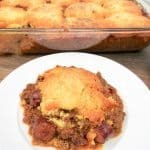 Even non-Keto hubby loved this casserole, so it was a home run!! 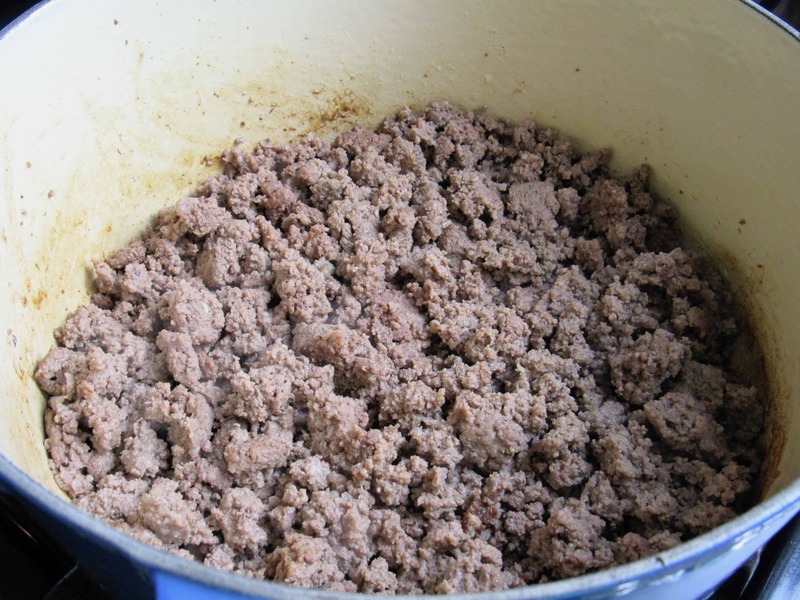 Brown the ground beef in a large pot, then remove and set aside. 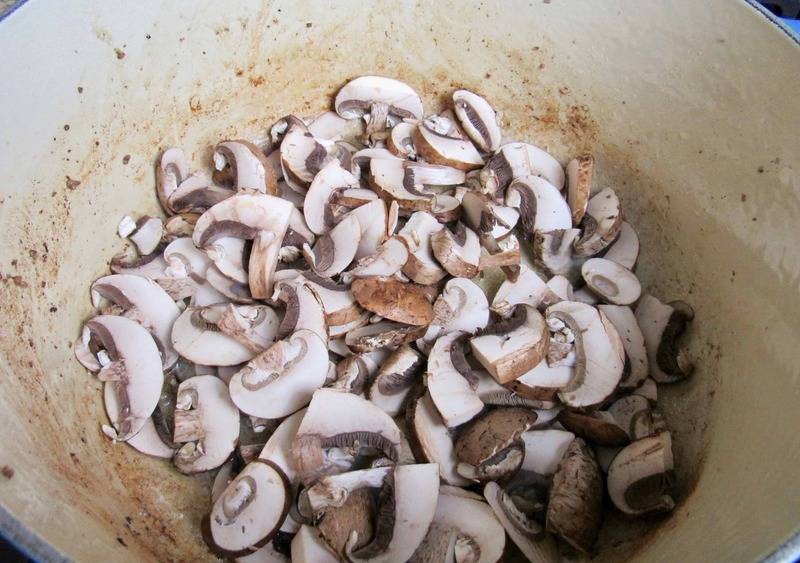 Add the butter to the pan and sauté the mushrooms over medium heat, until you have some good color on them. 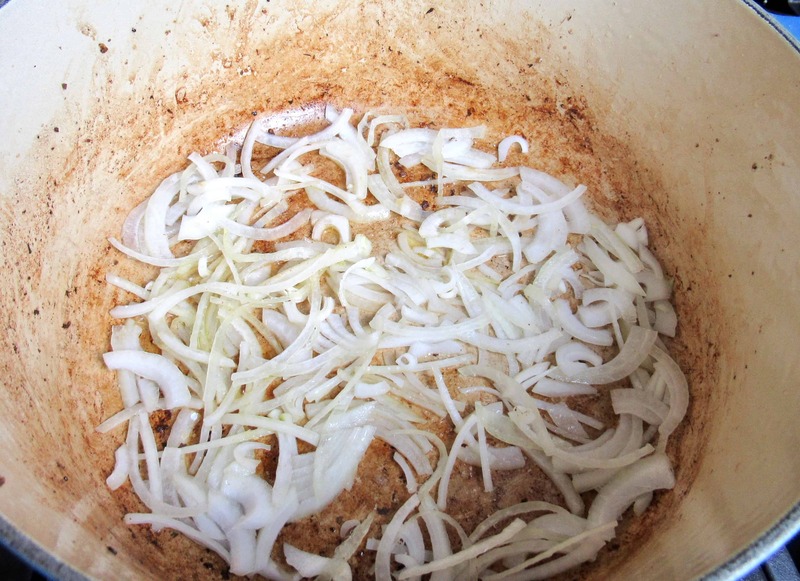 Remove and sauté the onions for a few minutes. 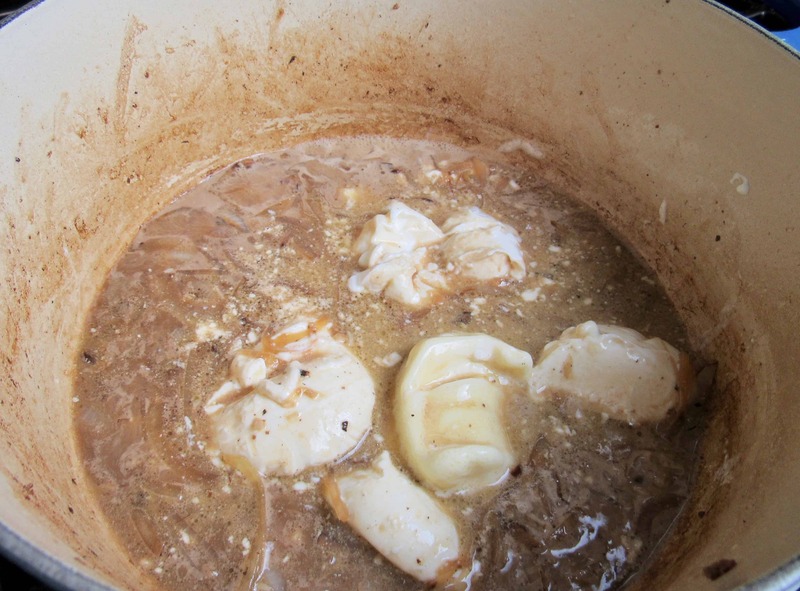 Then add in the garlic for about 20 seconds. Careful not to burn the garlic! 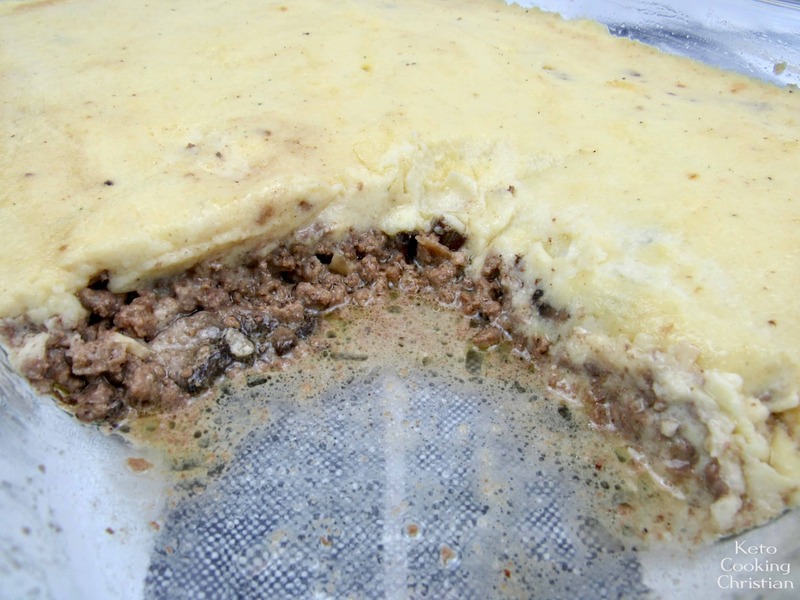 Pour in the white wine to deglaze the pan, scraping up any brown bits of flavor. Preheat your own to 400F. Add in the remaining ingredients, except for the cheesy mashed cauliflower and still until well combined. 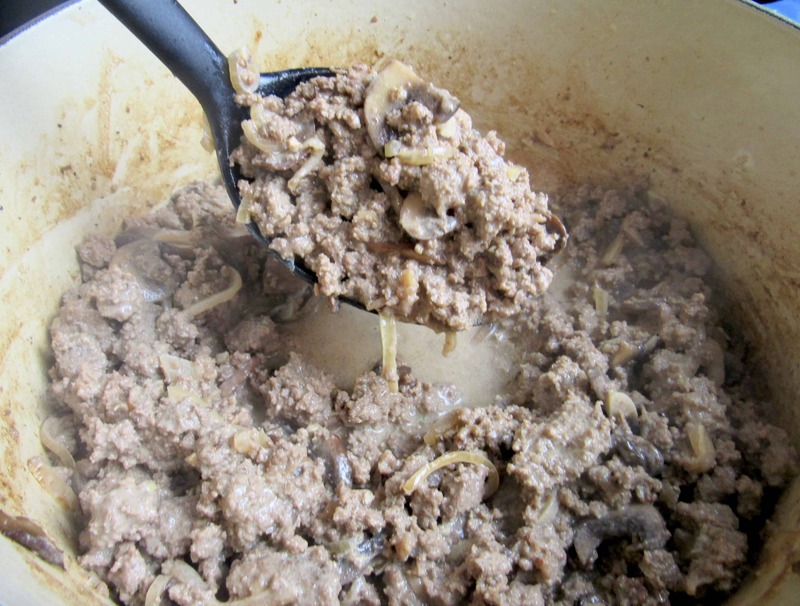 Stir in the ground beef and sautéed mushrooms and allow to cook for 5 minutes. 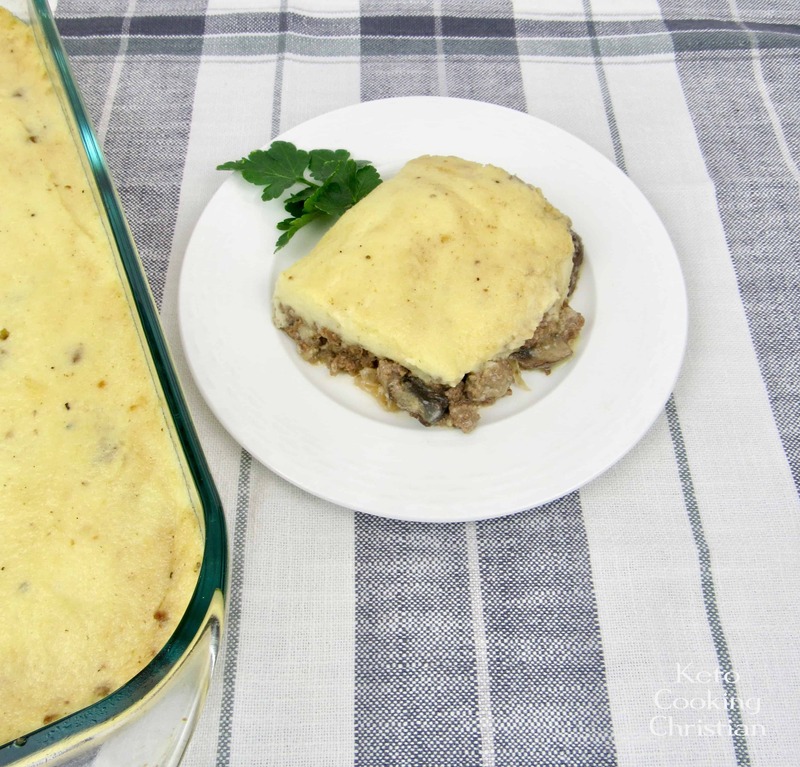 Pour the mixture into a greased 9″ x 13″ casserole dish and spread evenly. 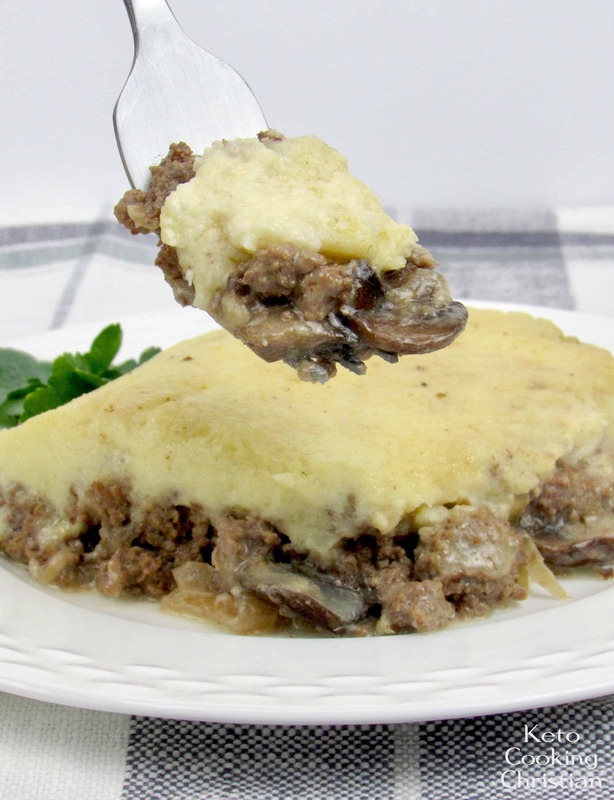 Add the cheesy mashed cauliflower over the top in large dollops, and spread using a spatula (offset spatula, if you have one) and bake for 10 minutes. 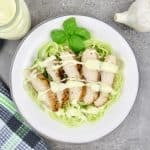 Allow to cool slightly before cutting into and serving. Brown the ground beef in a large pot, then remove and set aside.Add the butter to the pan and sauté the mushrooms over medium heat, until you have some good color on them. Remove and sauté the onions for a few minutes. Then add in the garlic for about 20 seconds. Careful not to burn the garlic! Pour in the white wine to deglaze the pan, scraping up any brown bits of flavor. Preheat your own to 400F. Add in the remaining ingredients, except for the cheesy mashed cauliflower and still until well combined. 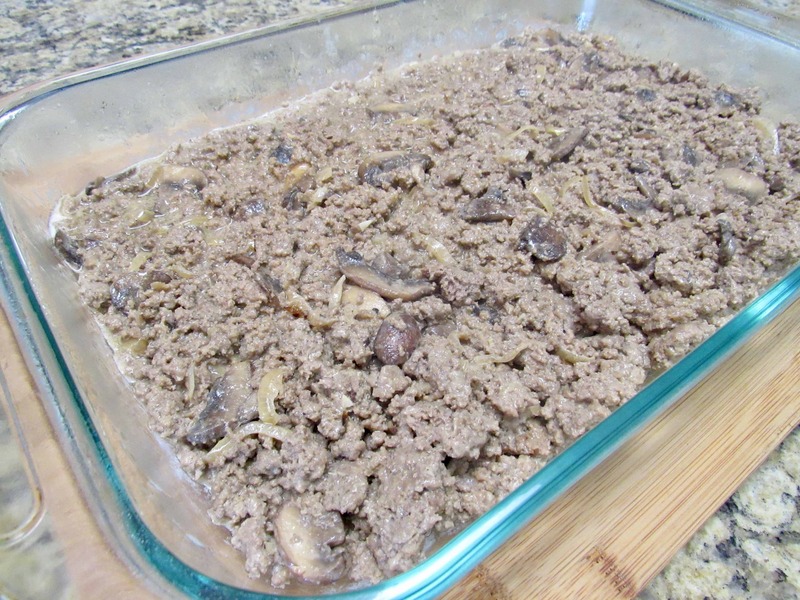 Stir in the ground beef and sautéed mushrooms and allow to cook for 5 minutes. 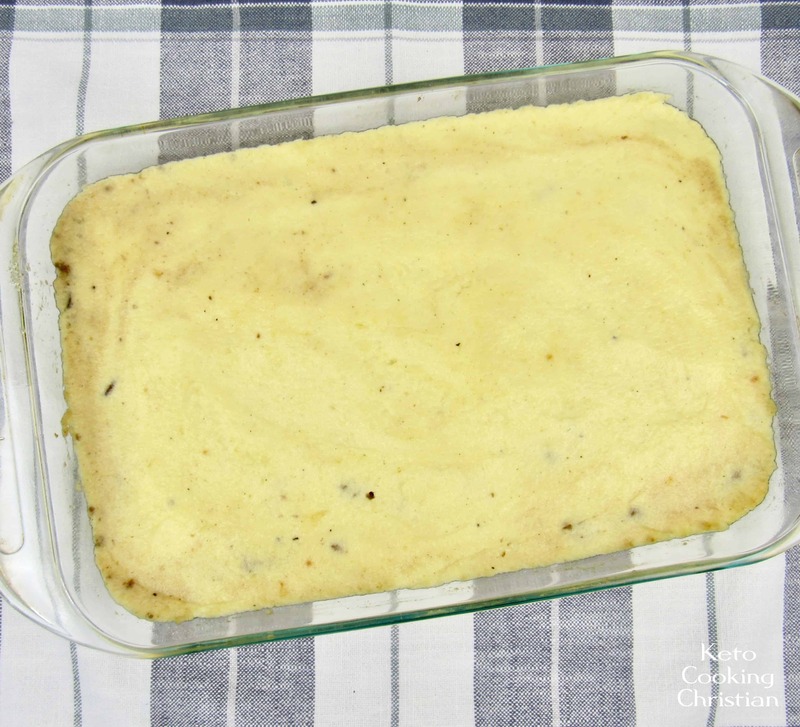 Pour the mixture into a greased 9" x 13" casserole dish and spread evenly. 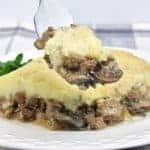 Add the cheesy mashed cauliflower over the top in large dollops, and spread using a spatula (offset spatula, if you have one) and bake for 10 minutes. 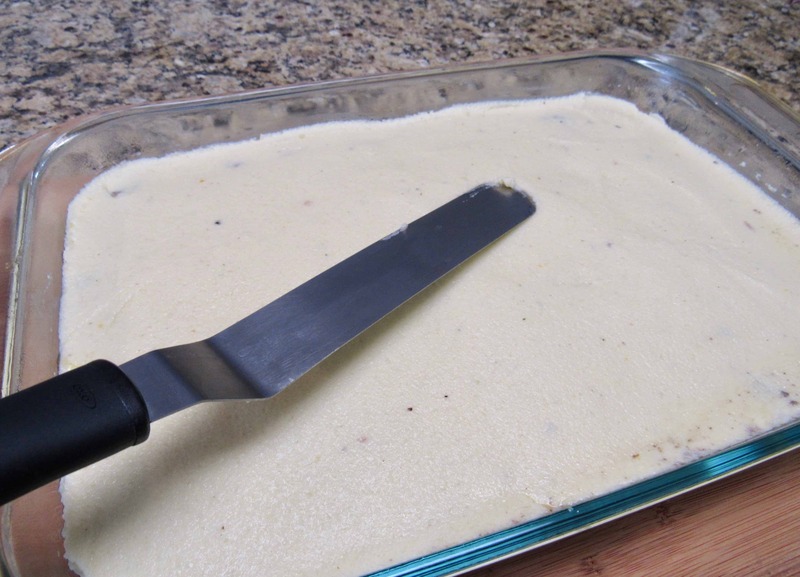 Allow to cool slightly before cutting into and serving.